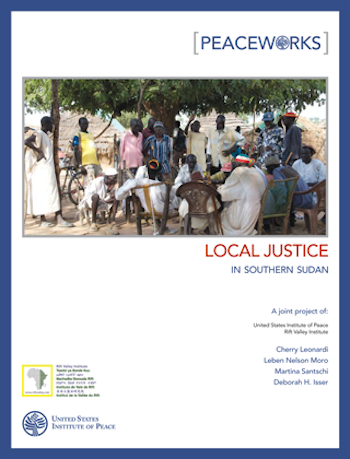 This report analyses the workings of the justice system in Southern Sudan, focusing on the real-world relationship between local chiefs’ courts and government courts and the ways that litigants navigate between them. Based on extensive interviews with litigants, chiefs, and court officials, the report argues that that the role of the chiefs’ courts has evolved to the point where the line separating them from government courts is blurred. On balance this has extended access to justice. Copublished with the US Institute of Peace.